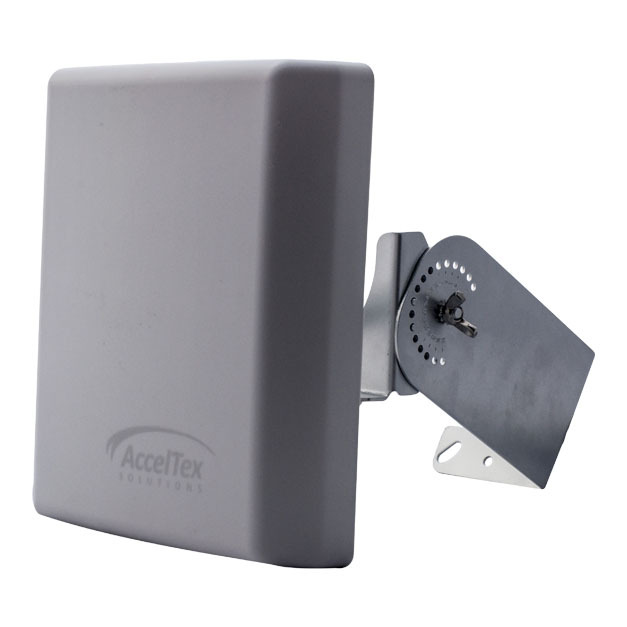 The AccelTex Solutions high density dual band indoor/outdoor patch antenna is a perfect complement to any enterprise-class AP to achieve focused, directional coverage in your indoor or outdoor space. With a narrower beamwidth than most patch antennas and both horizontal and vertical polarized antenna elements, this antenna is purpose-built to provide a very focused coverage pattern suitable for high density deployments. Each antenna element is optimized for Wi-Fi operation on both 2.4 and 5 GHz. This antenna comes with 36" pigtails and ships with our articulating wall and pole mount kit for precise antenna positioning. This highly versatile antenna is suitable for a broad range of indoor and outdoor applications where focused RF coverage of an area is desired.